Still in fashion syndication, ’70s trends show no signs of slowing down. From bell-bottom jeans and fringed-out frocks to sepia tints and low-cut metallic gowns, there’s a trove of iconic pieces to choose from and work into your fall uniform. But it doesn’t stop there. Your manicure is as much an extension of your outfit as any accessory, and it also needs to be on point with the rest of your look. 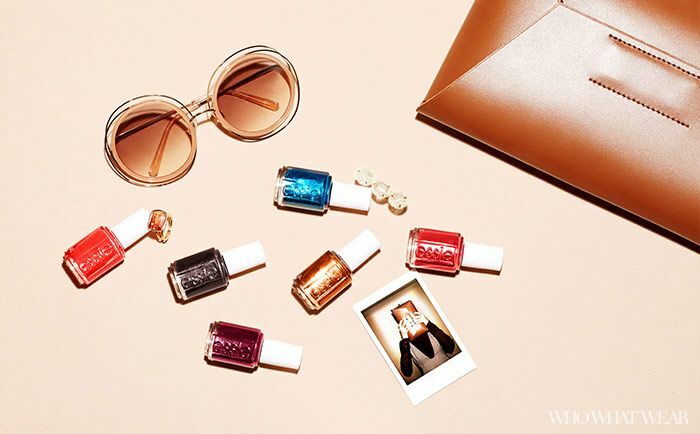 To show you how it’s done, the colors of Essie’s fall collection (inspired by ’70s ingénues) are taking center stage among the decade’s still-sought-after trends. Scroll down to see six trend-inspired tips for fall. Essie’s Bell-Bottom Blues is a midnight indigo perfect for coordinating with a head-to-toe denim ensemble. 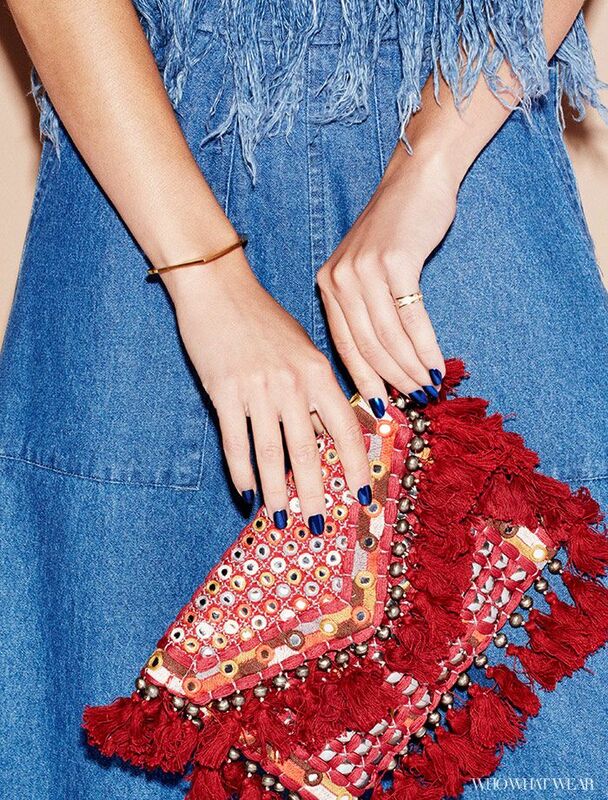 Offset the blues with a tasseled, beaded maroon clutch for a striking contrast. Nothing says “I’m with the band” like a fuzzy yeti coat and rose-colored glasses. But keeping the look grounded in the here and now with a classic red mani and a chic tie-neck blouse that’s your ticket to versatility no matter how bold the outfit. Pick a nail color that you can build your nighttime outfit around, like a deep cinnamon plum from Essie’s In the Lobby. The bright pink clutch perfectly offsets the dark nail, and the patchwork suede skirt pulls in the russet and sienna hues of the decade. The deep-V metallic dress was an after-hours staple then, as it is now. Add a hint of gilded glamour to your tips with Essie’s Leggy Legend. Make it modern with a striped nail that’ll make them look twice. Take a uniformed approach to fall dressing by layering a long-sleeve knit under your jumper. It’s a chic way to cover up for the season, and it still accentuates the silhouette. To mix up the warm colors of this muted palette, amplify your manicure with a blocked-out nail art inspired by the lines of your look. Opting for an electric pop of color, like this orange-red shade, on your nails is a great way to break up a frenzy of prints and accessories. 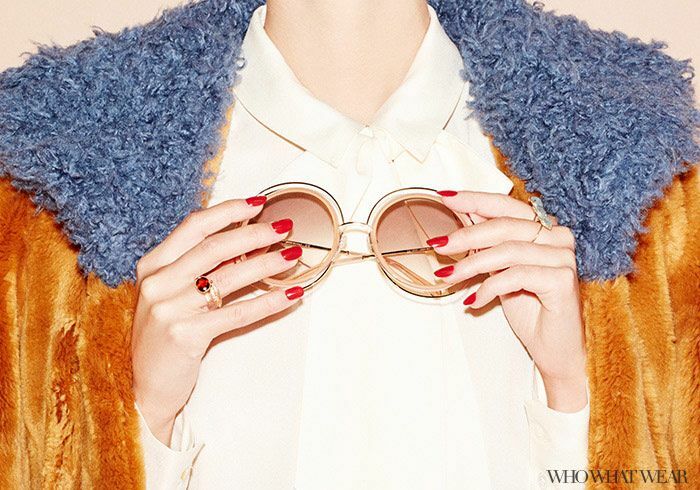 Which '70s inspired digits will you call on for fall? Tell us your favorite take in the comments below.